Cape Coral - Quality Leisure Time for the Whole Family. Located a short drive from many Florida Gulf coast destinations, Cape Coral, Florida has much to offer so the entire family can enjoy their leisure time. Cape Coral vacation rentals are in close proximity to the beach as well as the area's canals and coastal boating community. Take a fishing charter or spend a few hours at a water park, or take a short ride to other destinations on the southwest coast of Florida, such as Fort Myers, Naples, or Marco Island. Cape Coral rentals allow the family to enjoy quality time doing things that both adults and children enjoy. There's more to do in Florida than Disney and stay at busy destinations along the state's east coast. The southwest coast offers more in terms of natural beauty and a somewhat slower pace. 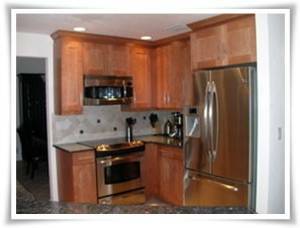 At condo rentals Cape Coral, the family can relax in a more comforting environment than at a local hotel or motel. If the Gulf of Mexico and the Caloosahatchee River don't fulfill your needs for water, Sun Splash Family Waterpark might wet your aquatic appetite. Enjoy a lazy tube ride or take a daring ride down a waterslide. When you stay at condo rentals Cape Coral, water is never far, and there are many opportunities to go boating, fishing, and water skiing on the river. Outdoor activities abound near the vacation rentals, so you can enjoy Florida's tropical climate. There are many parks by the river where you can have a picnic and the kids can have fun in the playground. Jaycee Park offers a chance to relax under a tree and read a book, or take a stroll along the waterfront. Sports enthusiasts can hit the basketball court or play bocci ball or shuffleboard at Veterans Memorial Park. Even put together your own lunch at Cape Coral vacation rentals to take with you. A full kitchen enables the chance to take along any snacks or pack a healthy, home-cooked meal. The option is always there to eat in at condo rentals Cape Coral, but the area's many restaurants serve up some local delicacies as well. Choices range from local seafood to an array of ethnic cuisines. When your appetite is satisfied, there is even the chance to appreciate the local art community at the Cape Coral Art League. There are many ways to keep the family entertained at an affordable price, especially when you avoid the expenses of staying at a hotel. There is also the convenience of dealing directly with home owners sensitive to your family vacation needs instead of resort employees. Plan a family trip to the laid back, coastal community of Cape Coral, instead of the crowded east coast and Orlando areas. Cape Coral vacation rentals offer the unique opportunity to have a peaceful family get away near many outdoor attractions. Affordable vacation rentals allow the whole family to get away while having a pleasurable experience that fits a modest vacation budget. Interested in More Cape Coral, Florida? Check out nearby Bonita Springs , Captiva , Captiva Island , Englewood , Estero , Ft Myers , Ft Myers Beach , North Captiva Island , Rotonda West , Sanibel , Sanibel Island .